The Aegean Sea with its myriad islands is perhaps the most romantic area for honeymoons & motorsailer cruises. 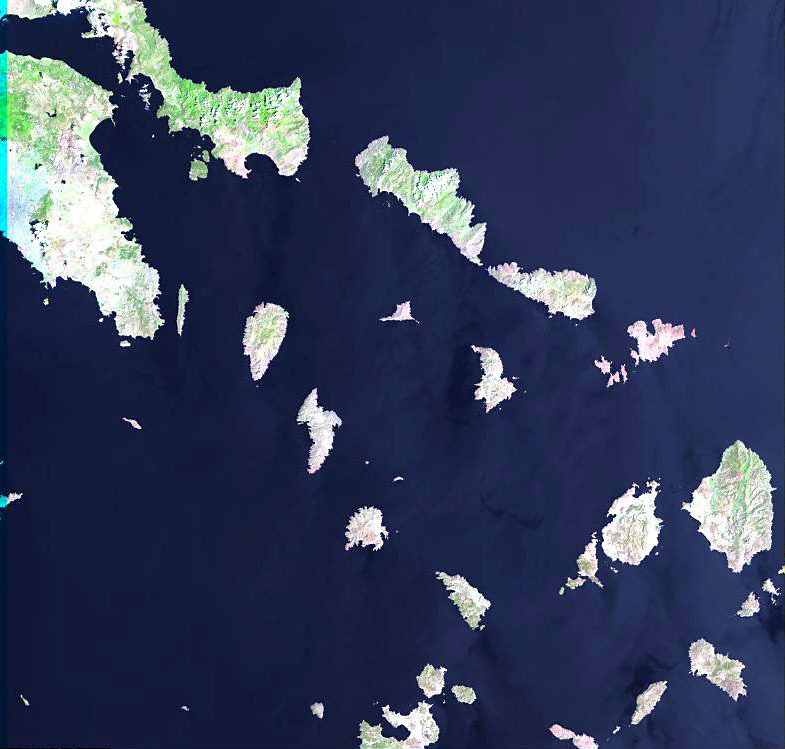 Not only the amount of the islands (thousands) is important but also the ubiquitous archaeological sites and ancient Greek monuments and temples. Moreover these beautiful waters can be discovered on the endemic wooden motorsailers, which are the traditional vessels of the area. The motorsailers are also known as gulets, caiques, goulettes and gulets and are nowadays modern designs, fitted with every luxury and comfort you can dream of. Only the attractive curves will remind you of the original purpose: truly reliable ships transporting grain and other goods across the Aegean Sea. Contrary to the superyachts and megayachts, these motorsailers provide the ideal romantic atmosphere for honeymoons in the Aegean waters of the Cyclades. The concept of Aegean honeymoons on motorsailers works best for the southern cyclades and also the Dodecanese (where - together with the adjacent Turquoise coast - these honeymoons are called blue cruises or blue voyages). Notably the Cycladic yacht charter bases of Paroikia port on Paros island and Ermoupolis on Syros island are ideal to reach the must-see isles of Santorini, Amorgos, Folegandros, Sifnos and further east: The Dodecanese islands of Kos, Nisyros, Symi and Rhodes. Indeed, this reflects the only downside of honeymoons on motorsailers instead of the superyachts & megayachts: the motorsailers are much slower and will usually be restricted to one large area. Still, the time spend sailing or motoring per day will be as short as you like: the nearest must-see island is only 1-3 hours sailing away. Please note that motorsailers and gulets are nearly always fully crewed with chef cook, kitchen staff, hostesses, captain and deckhands, which will be at your (only you) disposal at any time: a full charter or private charter. Rarely, you could for Aegean honeymoons on motorsailers also opt in some cases for a cabin charter. The biggest yacht charter base is obviously Athens, north of the Cyclades, from which you will be able to visit Andros & Tinos, Kea, Kythnos and the lovely Argolic Gulf (Peloponnese coast), also ideal for honeymoons on motorsailers.
.: Back to the Cyclades :.